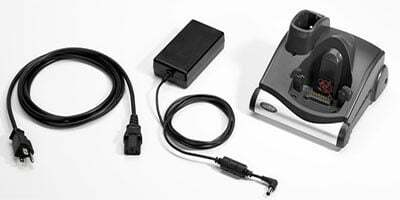 Motorola MC90X0 Wireless Terminal Accessories - Single Slot Cradle Kit (US). Includes Cradle, Power Supply, and US AC Line Cord. Does not include interface cable. The Motorola CRD9000-110SES is also known as SYM-CRD9000110SES	or CRD9000110SES	.